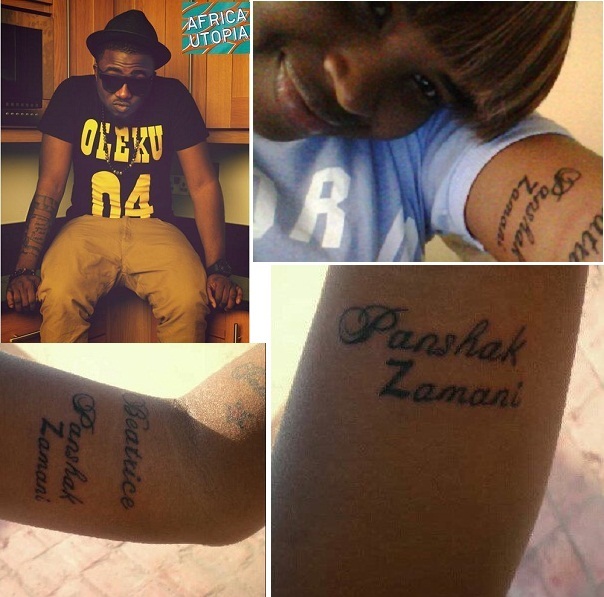 Emerald: Fan tatoos Ice Prince's name on her body! Fan tatoos Ice Prince's name on her body! "Shoutout 2 @EstherNdanu 4 loving the music enough to tattoo my real name on her"
"D X and Os to @EstherNdanu my new number 1 fan and BIG hug to the whole of Kenya!!!"